For a Japanese Food Enthusiast, one has to take note of the flavors and the happy feeling that occurs after each bite. Surprisingly, it has been a while since I went to the same restaurant for two consecutive days. NADAI FUJISOBA did just that. It made me come back for more. 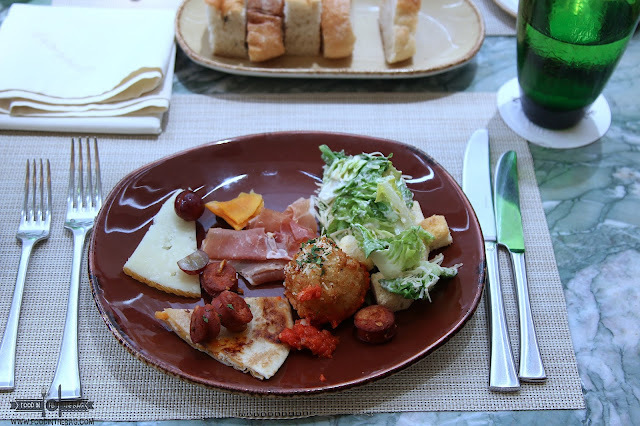 There was something about the freshness and the quality with each dish they serve. I needed to have some more. 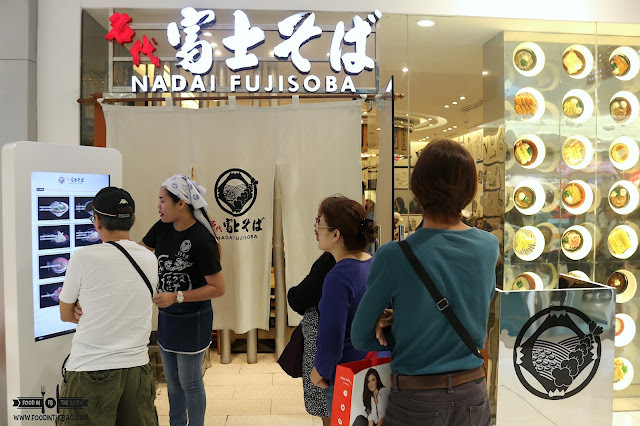 Nadai Fujisoba in Sm Megamall is the newest branch in their repertoire. Aside from BGC, SM AURA, SM NORTH THE BLOCK, you could definitely have your noodle and rice meal fix here. An interesting fact would be that NADAI FUJISOBA has over a hundred restaurant locations just in Tokyo alone, with some open 24/7. 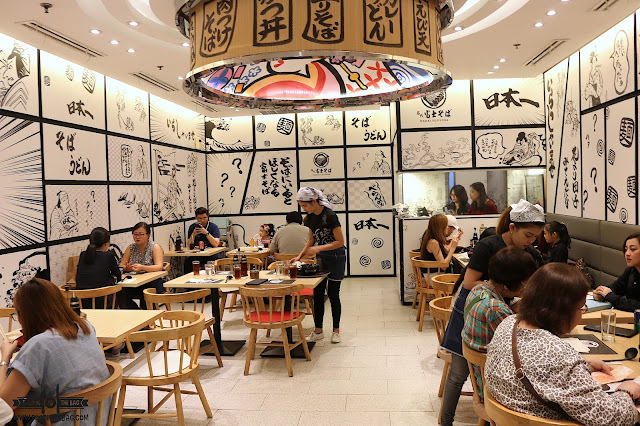 It just goes to show, that this is a restaurant that serves comfort food for the Japanese. 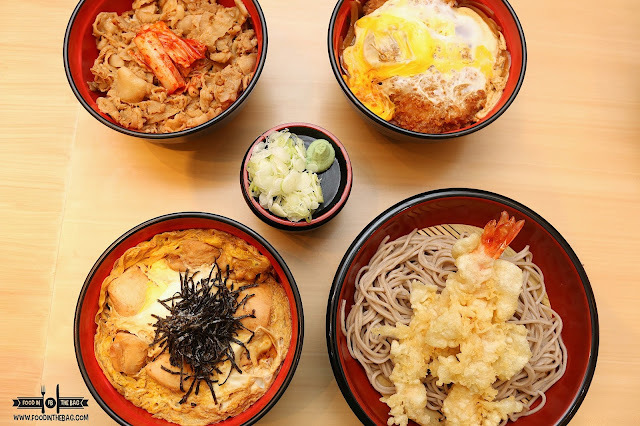 The main choices are actually divided into 3 things: cold and hot noodles, rice toppings, and platters to share. 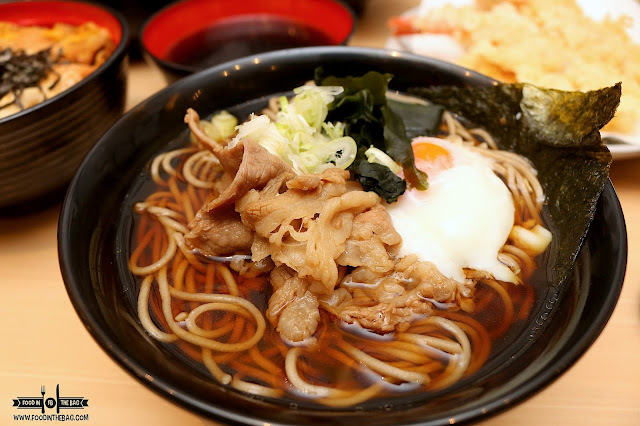 When it comes to cold noodles, one could pick between the udon / thick noodles or the soba. 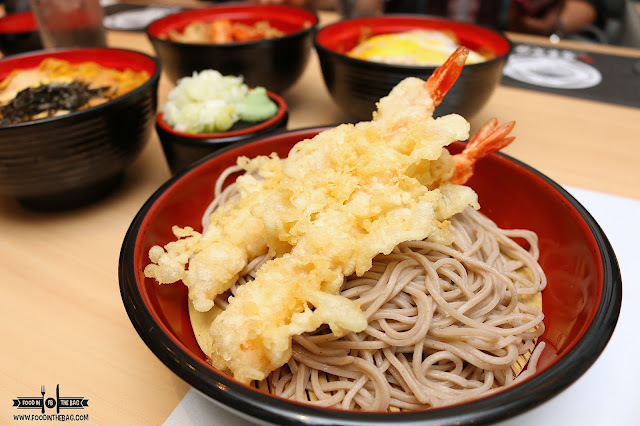 The cold soba made from buckwheat is a crowd favorite. With a dipping sauce, you are suppose to eat this dish as soon as you receive it. There is a big different between the quality and the taste if it takes you too long before trying it out. After a period of 15 minutes, you get to realize that it will become soggy and soft. A complete turn around from the al dente and firm texture you may get once it is served. In contrast to traditional ramen, the version of hot noodles in NADAI FUJISOBA is made with a different broth. A little on the sweet and savory side, it a great turn around from the usual noodle dish that we are accustomed to. It's a bit lighter compared to the heavy texture that the ramen broth usually has. If you aren't into noodles, you may want to go for the classic rice dishes. 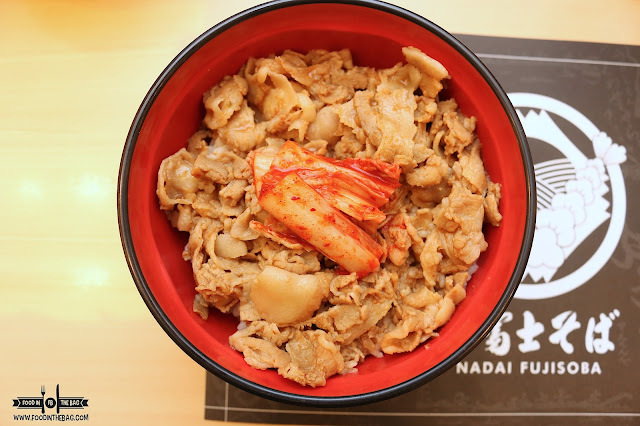 Aside from having ebi tempura, NADAI FUJISOBA has other familiar yet delicious items on the menu as well. I suggest that you try out their fish cakes. 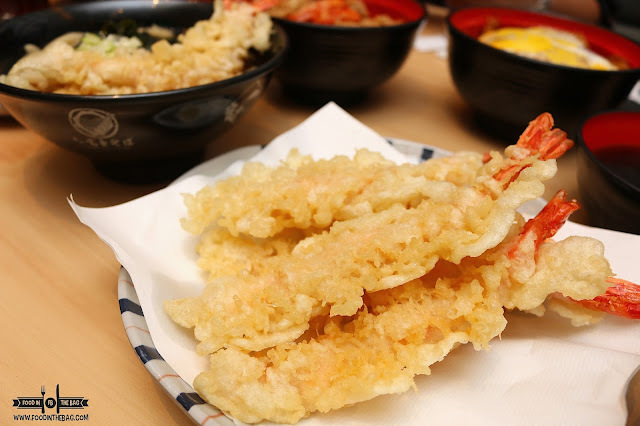 Deep fried in tempura batter, it has a familiar flavor that you might enjoy. 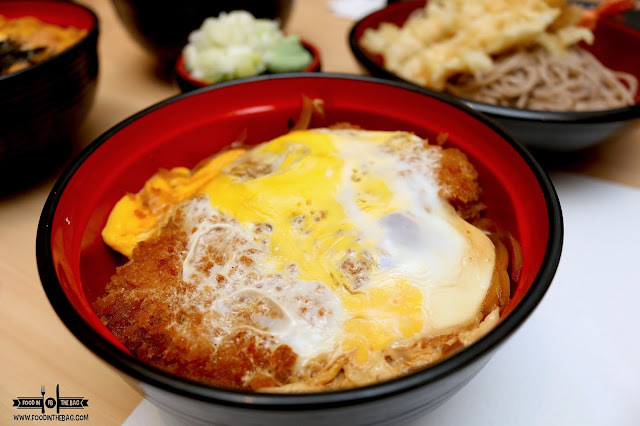 For Rice Toppings, the KATSUDON will be forever in the list of choices. Basically, breaded pork with egg on top rice is served in a bowl of rice. There is simplicity here but the execution resulted into a delicious mix. An unexpected dish that caught me off guard would be the BUTA BARA KIMUCHI DON. 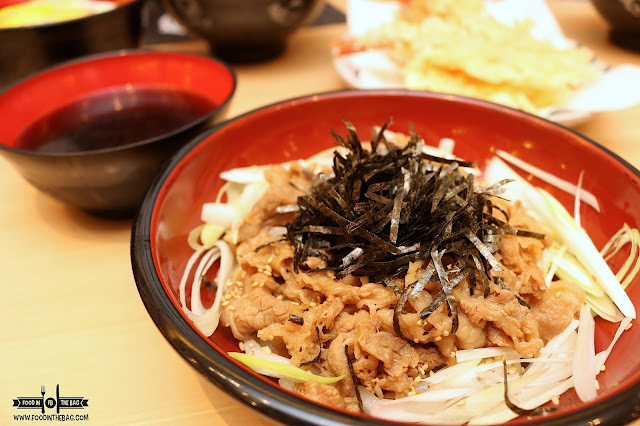 Thinly sliced beef is cooked into a savory, and mouth watering delight. It is a bit strong but the kimchi balances it out. It may not be for everyone but I enjoyed it alongside the cold soba that I had. Might be a worth a try if in case you get tired of your usuals. NADAI FUJISOBA is definitely a place that serves Japanese Comfort Food. The execution of the dishes are simple and straightforward that you won't go wrong with any. (The Mall Building near Podium).